I always tell people that anger’s a normal part of being human. It’s an emotion that everyone experiences at different points in life. The problem your having is regulating the emotion of anger. If you want to change the way your anger functions you need to learn 3 important things. Check out the video below to learn about the 3 things you will have to learn in order to control your anger! Anger is one of your basic human emotions. There’s nothing wrong with feeling anger as long as you can regulate it. Every emotion has a purpose. An emotion is designed to alert you when you’re feeling something, and it allows you to process what you’re feeling. In order to understand the emotion of anger you need to understand your body’s arousal system. Your arousal system is a network of things in your body such as your muscular system, your endocrine system (which manages your hormones), and your central nervous system. These are necessary parts of your body that can alert you when something’s wrong. If you’re in danger your body reacts by giving you a shot of adrenaline for energy, which causes your muscles to tighten, and your senses sharpen in the moment. Your arousal system is nature’s way of helping you survive in the world. The problem is when this system is malfunctioning. The reason you’re struggling with anger is because you can’t regulate your body’s arousal system. A few years ago I took lessons to learn how to scuba dive. One of the things I had to learn about was buoyancy. In order to keep myself from floating or sinking in the water I had to wear weights around my waist. If the weights were too heavy I would sink to the bottom and not get anywhere, but if I didn’t have enough weight I kept floating to the surface of the water! Learning how to regulate your emotions is a lot like buoyancy. If your emotions are too high they will feel out of control, but if they’re too low you can experience different problems. The key to regulating your arousal system is preventing major spikes or drops in how you feel. If you’re under-stimulated you’re going to feel tired, numb, depressed and unmotivated. When your arousal system is overstimulated you can feel anxious, on edge, irritable and angry. If you want to learn how to control your anger you have to pay attention to your arousal system and learn how to manage it more effectively. When people tell me “My anger feels like it goes from 0 to 100 in an instant” the first thing I do is help them recognize what’s happening before their anger felt like it was going a hundred miles an hour. Typically your emotions don’t just click on and off in an instant. Usually what happens is that your anger starts increasing in small amounts, but you don’t realize it until it’s too late. You need to be able to recognize your anger is rising before it feels out of control. This is what’s called anger awareness. Anger awareness is learning to recognize the emotion of anger at lower levels. These lower levels of anger are often described as annoyed, irritated, or frustrated. It’s helpful to think of your anger as being on a scale from 0-10. As your arousal system gets stimulated your anger levels rise. Remember that regulating your arousal system doesn’t mean turning it off, it means keeping it at a healthy functioning level. Your arousal system has an important function. The goal isn’t to turn off the emotion of anger. One of the important parts of anger management is learning how to calm your body. You can feel the emotion of anger through your body. When you get angry what do you notice happening in your body? Do your muscles get tense? Do you clench your jaw? Does your breathing get heavy? Your muscular system plays an important role in your arousal system. When something negative happens your muscles prepare to respond. Your body’s getting ready to fight if there’s danger, or run away from something that might hurt you. This is your fight, flight, or flee response. Your hormones also play an important part here. When something dangerous or stressful happens your body responds by producing certain hormones. When you feel stress your body releases a hormone called Cortisol. This release of hormones is how you “feel stress” in your body. When you feel the emotion of anger your body releases a hormone known as adrenaline. This is why your muscles tense up when you’re angry. To decrease your anger practice calming down your body. Practicing different forms of meditation such as mindfulness can be very effective. Breathing techniques are another helpful skill to help you relax your body. Exercise can be a helpful way to release energy. It can be as simple as going for a walk to release some of your body’s energy and to allow your stress hormones to decrease. Having the ability to calm your body is an important part of good anger management! 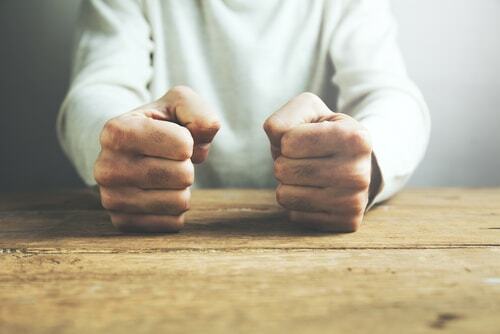 “It’s not what happens to you that makes you angry, it’s how you interpret what happens to you that makes you angry.” This quote by Dr. Michael Ballard sums up a HUGE part of controlling your anger. Have you ever wondered why some people don’t get angry about certain things when you do? Do they have some kind of ability that you don’t? They don’t have a special talent, they’re just able to think about things in a way that doesn’t make them feel anger as often. Your brain is designed to interpret information. That’s its job. The problem is that it’s interpreting things in a way that’s causing you to feel angry on a regular basis. To control your angry thoughts you need to train your brain to think a little differently. This will take some time and some practice, but don’t be discouraged because it’s possible. There are some common thinking patterns that are probably causing you to feel angry on a regular basis. Your thinking patterns are formed by different experiences in your life. When you repeat this habit over and over it starts to feel automatic. This is why you don’t notice what’s happening when you’re getting angry. Your thinking patterns have become automatic. To change the thought patterns leading to anger you need to understand them and begin practicing some new thinking habits. 1) Black & White Thinking: This is the when you think everything is black and white, right or wrong, there’s not middle ground. 2) Mind Reading: This occurs when you assume you know what someone is thinking or know what they’re going to say or do. 4) Should”ing” or Must”ing”: Being angry at yourself or others because you “must” do something a certain way, or someone else “should” have done something. It’s possible that you’ve done all of these at some point in your life. Try to identify the one that you do the most often and start working on that one. Start by paying attention to the times when you get angry this week. When you notice your anger happening ask yourself if you used this thinking pattern. Then practice changing that thought. If you notice you’re using a black and white thinking style, start to consider how you could take a more reasonable approach. Try to understand the situation from the other person’s point of view. You probably won’t be good at this when you start. Remember that it will take some time and practice! If you can apply the 3 things you learned you can make a huge difference in your anger. If you would like some more help on controlling your anger you can get a free copy of our anger management ebook called The 5 Essentials of Anger Management. This free resource will teach you the essential things you need to know to really take control of your anger. Download your free copy today! Download Your Free Anger Management eBook Here! Enter your e-mail to get your free copy of our anger management eBook. Enjoy Your Free Anger Management Guide! 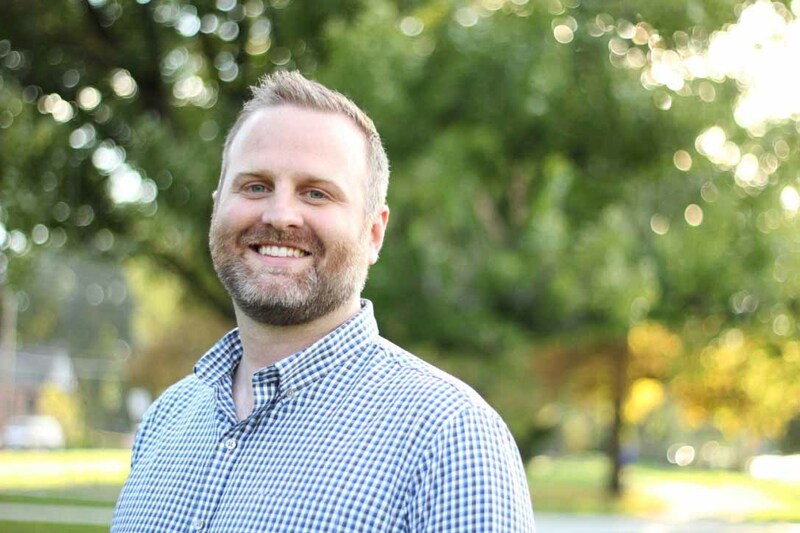 Cody is a therapist in Denver, Colorado that specializes in helping people work through difficult emotions and experiences in life. He loves using EMDR therapy as part of his work as a therapist and often writes about the benefits it can bring to people’s lives.